I'm going to share something authors talk about among themselves but are wary of speaking openly about. While most authors are great at public events, there are some who shout the rest of us down, claiming what they offer is "the best book you'll ever read!" Examples: A guy who stationed his wife at the door so she could lead people to his table (past four other authors). The one who hollered at each new customer, "Come on over here and let me tell you about my book!" as they came into the room. The woman who practically moved into my space so she could tell my customers about her books. These people ignore differences in readers' expectations and the variety of tastes concerning plot, character, writing styles, etc. Their book fits all, and the other authors present are chopped liver. The saddest part is that it sometimes works. Every other author in the room is offended, but readers are nice people, and once these loudmouths have them cornered, they often don't know how to get away without buying. I even knew a writer once who advised me to hand customers the book. "Make them take it into their hands," he said. "They won't want to hand it back, so you'll make the sale." I never want to be that kind of author. I want you to look at my book, at the cover I chose so carefully, at the back copy I sweated over, at the first pages I wrote and rewrote a hundred times. In the end I trust you, the reader. You might buy a book because of pressure from a pushy writer, but you'll only buy one if it isn't as advertised. Still, in a world where half of everybody has written a book, readers often fall for a writer with the confidence (nerve) to say, "I guarantee you'll love this." I'd like to praise those of us who write as well as we can and then present it to the world, often shyly and with great trepidation. We don't scream that it's the best book ever because we're aware that tastes differ. After all, there are people who hated Gone with the Wind, Great Expectations, and War and Peace, so you might not be thrilled with KIDNAP.org. I won't die from that. We quiet authors hope we'll gain an audience, but we understand that we don't get the whole audience. Instead of making grandiose claims, we let our work speak for itself. I know there are personalities of each sort in every field. Some athletes brag that they're the greatest. Others just play the game. Some politicians tell you how much they've done for you. Others are too busy working for you to spend a lot of time talking about it. It's that way with writers, and I can't say one kind is better than the other. But for me, the quiet author is easier to take. If one is screaming how great his book is, I'll walk right by, every single time. 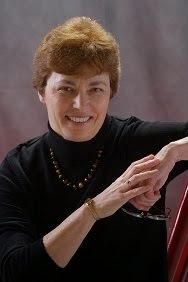 Mystery writer Peg Herring is a former educator who one day was asked by her students to write a play with "good" characters. This started an unstoppable sequence of events that led to what you see on this site. Peg writes mysteries. Reads mysteries. Loves mysteries. The subgenres vary from cozy-ish to historical. Click on the titles below to learn more about them. And what does Peg do when she's not writing? She finds travel inspiring, walking invigorating, and lunch with friends satisfying. Laundry and housework not so much. Peg reads, writes, loves mysteries.